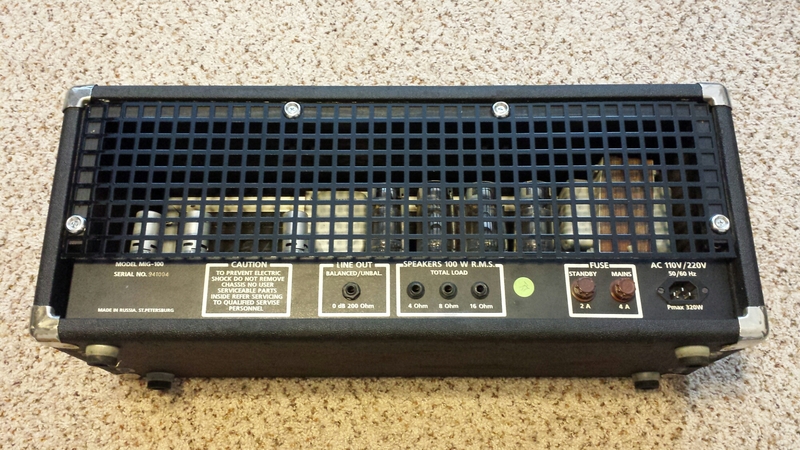 When I bought my Sovtek Mig100, it didn’t have a back grill. I looked for a while for an OEM replacement, to no avail. So I started researching metal grill mesh, and found a place called customcargrills.com. They worked with me to get a piece of grill near the dimensions I needed. After cutting it to size, I installed it with some finishing washers and wood screws. I think it looks great!